Both teams will be playing their first match in the group stage; they are in group C with Mexico and Uruguay. Group A and Group B have played their first game and Group C, and D will play today and tomorrow. 6th June 2016 at 02:30 (IST). Soldier Field, Chicago, United States of America. Jamaica is ranked 54 on the overall FIFA World rankings and has a lot prove and they are a growing team and will look to make their mark on the world by playing good in this tournament. Winfried Schaffer, their coach, has selected his squad very efficiently and will be hoping that his team performs well in the tournament. The players to watch out for in this squad will be Wes Morgan who plays in the title winning Leicester City and is the skipper of the side, then we have Giles Barnes who plays in Houston Dynamo in the USA, we have Je-Vaughan Watson who plays in New England Revolution in USA and Adrian Mariappa who plays in Crystal Palace in England. Jamaica played against Chile in their last International Friendly and won the game by 1-2. 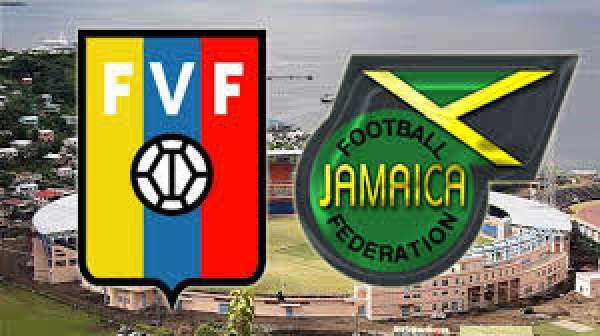 Donaldson scored the opening goal in the 36th minute of the match and then Joel Grant made it 0-2 in the 53rd minute, Nicolas Castillo was able to make it 1-2 in the 82nd minute but it wasn’t enough, and Jamaica won the game. Venezuela is ranked 74th in the FIFA rankings, and they also have to prove a lot to themselves. The players to watch for in the Venezuelan squad are Oswaldo Vizcarrondo, who plays in Nantes in France, Salomon Rondon who plays in the English club West Bromwich Albion, Tomas Rincon who plays in the Italian club Genoa and Luis Manuel Seijas who plays in the Colombian club Santa Fe. In their last five World Cup qualifying matches, they have lost four and drew one, lost against Chile by 1-4, against Ecuador by 1-3, against Bolivia by 4-2, against Brazil by 3-1 and drew against Peru by 2-2. Thompson, Watson, Mariappa, Taylor, Lawrence, McCleary, Williamson, Hector, Orgill, Donaldson, Barnes. Contreras, Rosales, Vizcarrondo, Velazquez, Villanueva, Juanpi, Rincon, Figueroa, Otero, Guerra, Martinez.